The overall health of the reef is obvious and abundant with life. 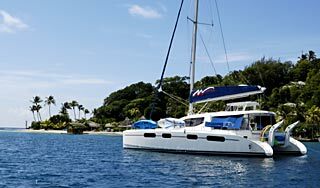 Dive St. Vincent is an efficiently run operation with a staff that is genuinely friendly and helpful. Bill Tewes' dry wit is missed by the many persons who had the pleasure of taking part in some of his 10 thousand plus dives in St. Vincent. However, Bill has ensured that the secret is out about St. Vincent's incredible marine life. Macro marine life identification has become the specialty of Dive St Vincent and has earned them the title of "Critter Capital of the Caribbean." There are healthy reefs for those that like looking at fish, coral and sponges. We have grass, sand, rubble and muck for the "critter"people. Many of the dive sites have a combination to choose from whether you like reef or critters. Macro lens are recommend on your camera due to the variety. All our diving is done from a moored boat, with over 30 dive sites to choose from and usually in shallow water (60' or less). Occasionally we go a little deeper to find something that doesn't inhabit shallower waters, such as a red banded lobster or a Bulls eye lobster. 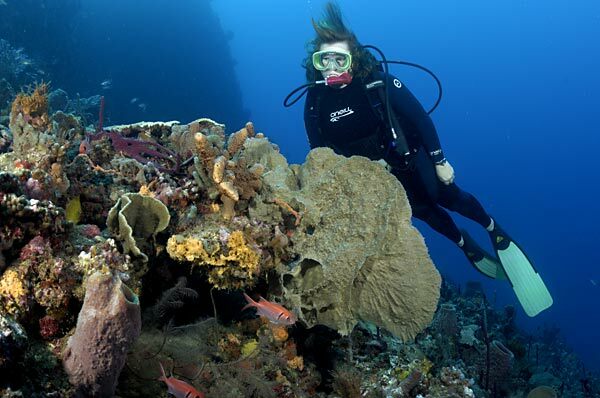 Our dive team will amaze you with the variety and abundance of unique marine life in St. Vincent. Pictured above is a rare find, the Striated Frogfish. You will see why St. Vincent has the reputation of the "Critter Capital of the Caribbean." St. Vincent is a macro photographer's dream come true! The Dive Center is located right in front of the Young Island dock on the mainland side. The area has several small hotels and restaurants on the water front. Sailing yachts anchor in the protected area in front of the shop. The shop is a 10 min. drive south of Kingstown and about 5 min. south of the airport. We offer daily two-tank dive trips, night dives, instruction, rental gear and snorkeling tours. Additional dives can be added if requested. We also offer day trips that combine sightseeing, diving or snorkeling, lunch and a taste of the famous "jet fuel" that makes our trips go so fast. (Sorry, no jet fuel for divers until dives are completed!) Boat rides to the various dive sites are 15-20 minutes, normally. The daily routine is a two-tank morning dive excursion, but additional dives can be added if requested. Gear is loaded onto the boat by the DSV staff. The boat leaves the dock at 9:30 am. It's a 15-20 minute scenic ride up the Leeward coast. The first dive is generally one of the deep dives, computers allowed, no rush. Surface Interval (about 1 hr.) Second dive, shallow dive, again no rush. Scenic ride back to the dive shop. Arrive at the dock about 1:30pm. Gear is unloaded, washed and stored to dry by DSV staff. After the boat is safely moored at the dive site, a divemaster gives a thorough dive briefing to inform the divers of the underwater terrain, expected marine life, depth, and instructions for performing the dive. Divers find a spot and stay seated until a DSV staff member brings an assembled tank and helps the diver put it on. 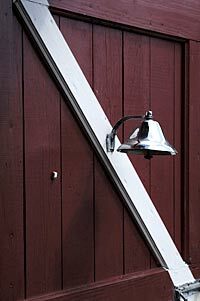 When fully ready and checked out, the usual method of entry is a backroll off the side of the boat. Experienced dive pairs are allowed to execute their own dive. Beginners and those wishing to have a guide are accompanied as a group (remember usually only 6 or less!) by the dive guides who will point out creatures (seahorses! 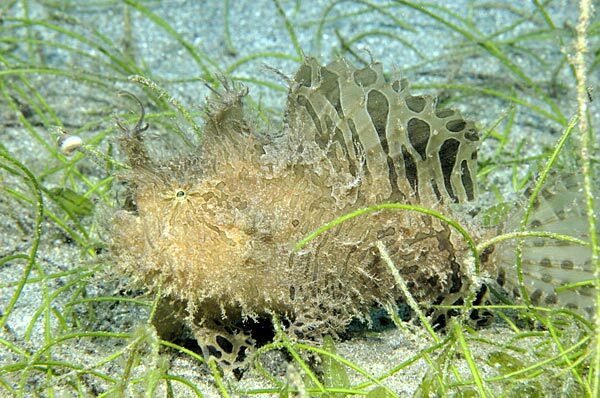 frogfish!) 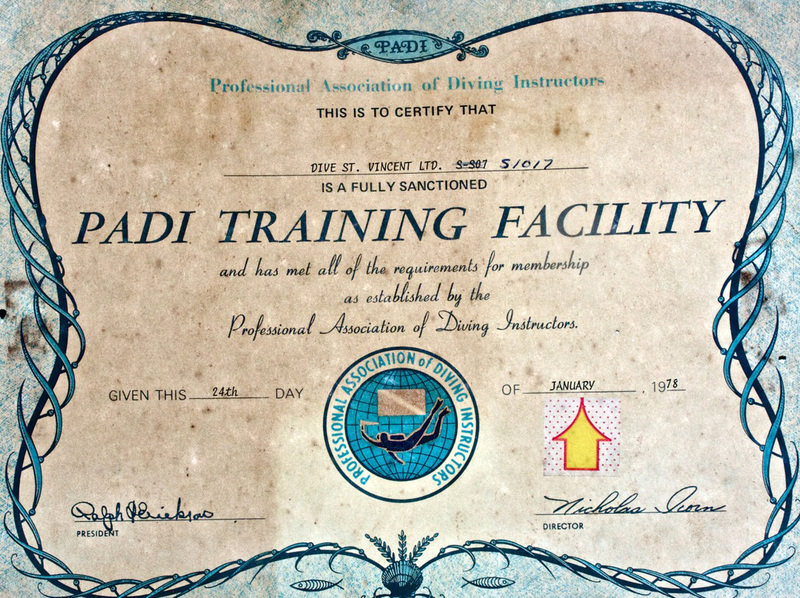 and be ready to help inexperienced divers. At the surface, the camera, weight belt and fins are handed up to the DSV staff and the diver climbs a ladder back into the boat. All the divemasters are Vincentian and can help find plenty of creatures, help you with your buoyancy or model for underwater photos. DSV offers open water check outs. Rental equipment is available and included in the price, except wet suits. Yachts in the area can contact the dive shop via boatphone or VHF radio on channels 16/68 to make arrangements for diving. Rental equipment in approximate sizes can be loaded on the dive boat and brought to the yacht when divers are picked up.